WATCH Who is Meghan Markle's go-to designer behind her coveted looks? 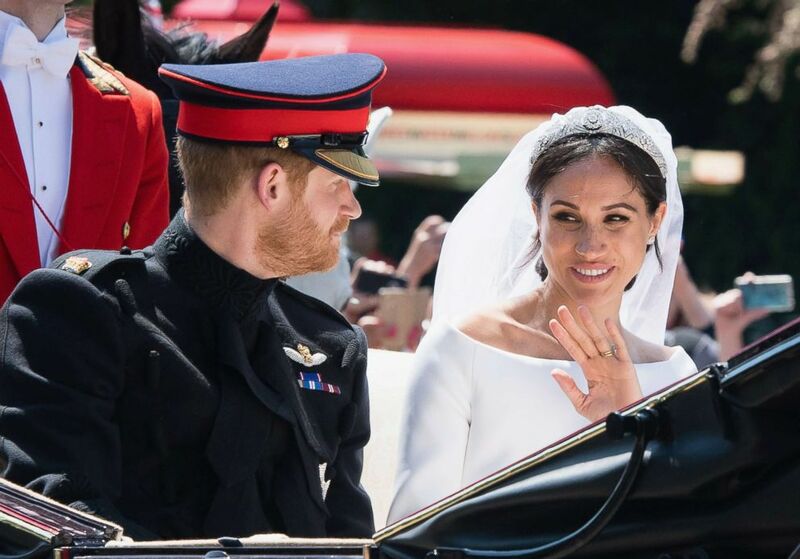 The moment when Prince Harry looked at Meghan Markle after taking her veil off during the royal wedding this past May stole the hearts of millions of viewers around the world. 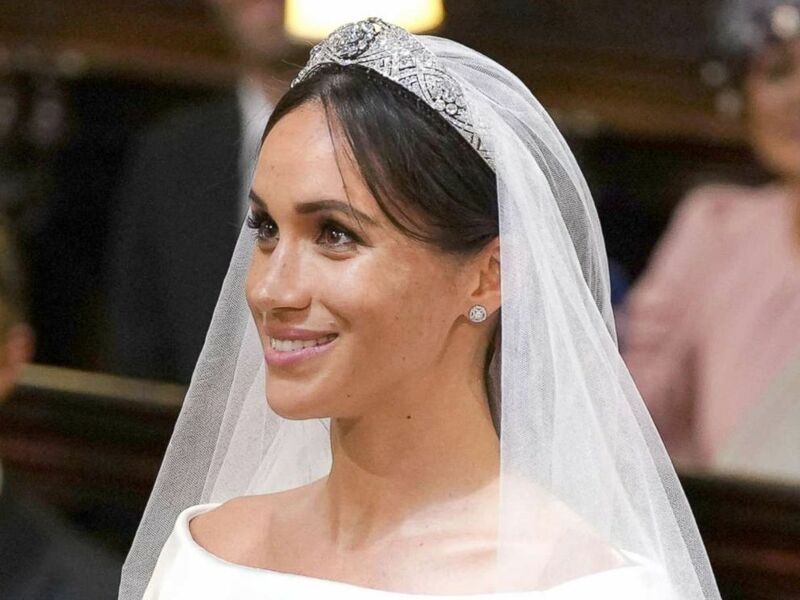 Donning minimal makeup, the now-Duchess of Sussex's natural beauty shined through on her big day. 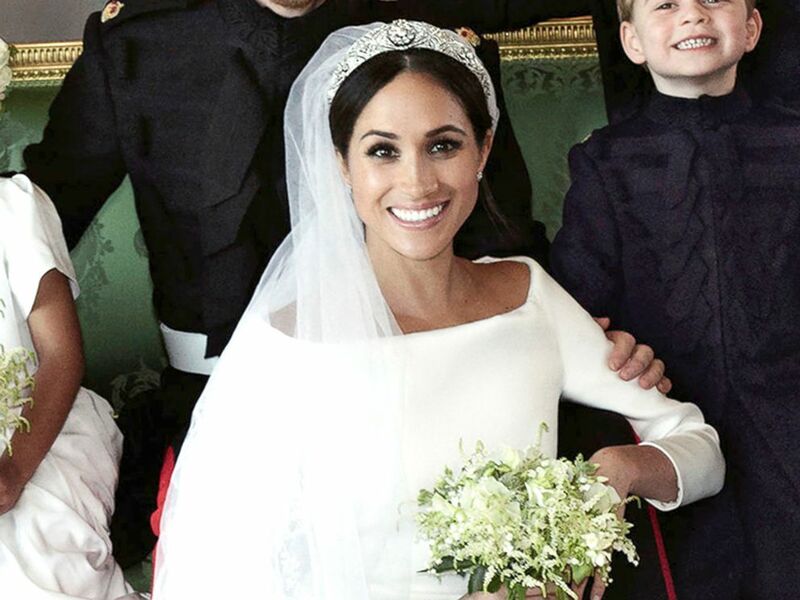 Daniel Martin, Meghan's longtime makeup artist and close friend who did her wedding-day makeup, described the look as "lit from within." "When H [Harry] takes the veil off, and he sees her, that's, like, the moment I think a bride wants -- when she has that moment with her future husband," Martin told "Good Morning America." "It wasn't about a trendy makeup. It wasn't about a lot of eye, or a lot of lip," he added. "It was about her, and her being confident." In this photo released by Kensington Palace, May 21, 2018, shows an official wedding photo of Britain's Prince Harry and Meghan Markle. Martin said that he initially found out about her wedding plans via emojis in a text message. "She was, like, 'Hey -- what are you doing May 19th?'" he said. "And then she sent me two emojis of the bride and groom. I was, like, 'OK, yeah, whatever you need.'" On the morning of her wedding day, Martin described Meghan as "very chill." "We had breakfast. Guy, her dog was with us. We were playing around with him," he said. "It was a very chill morning ... her mom was there, which was amazing." 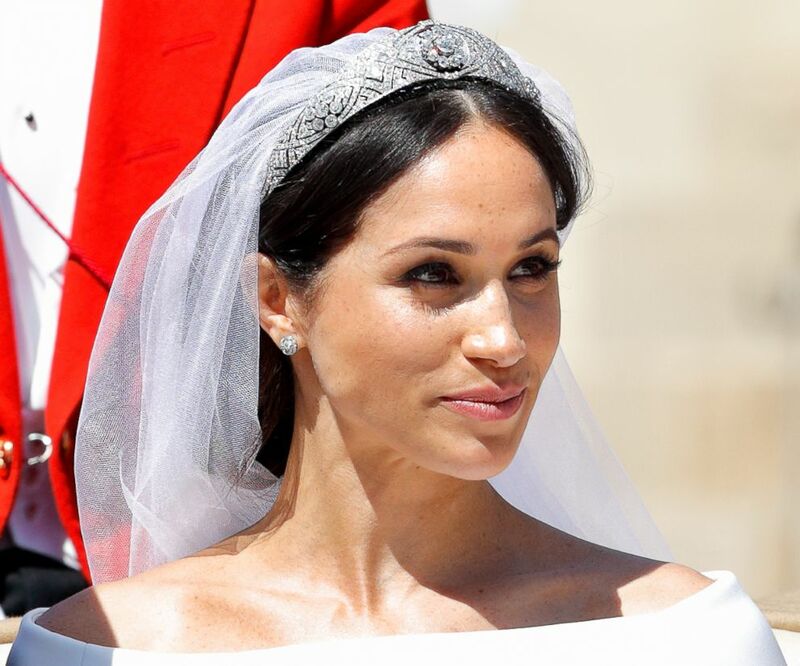 Meghan, Duchess of Sussex leaves Windsor Castle in the Ascot Landau carriage during a procession after getting married at St Georges Chapel on May 19, 2018 in Windsor, England. 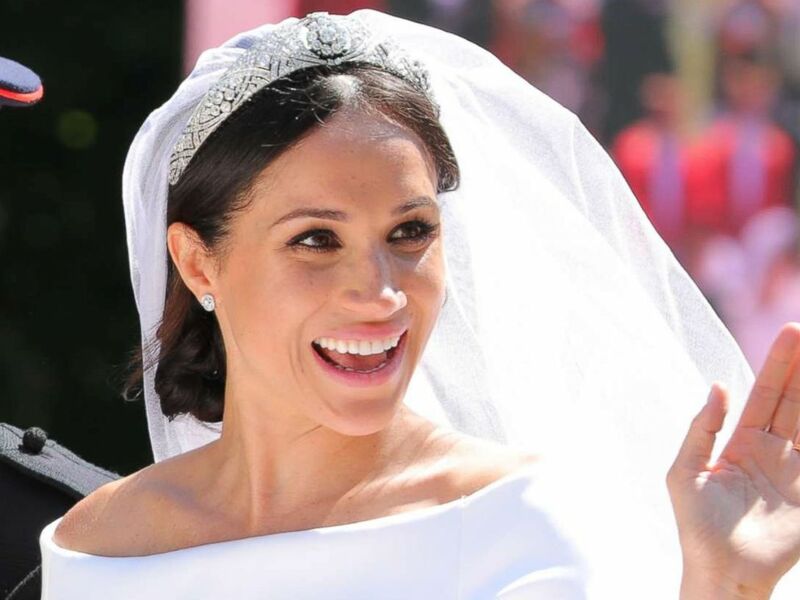 Spectators who tuned in to the royal wedding around the globe could not get enough of Meghan's effervescent-yet-natural look. 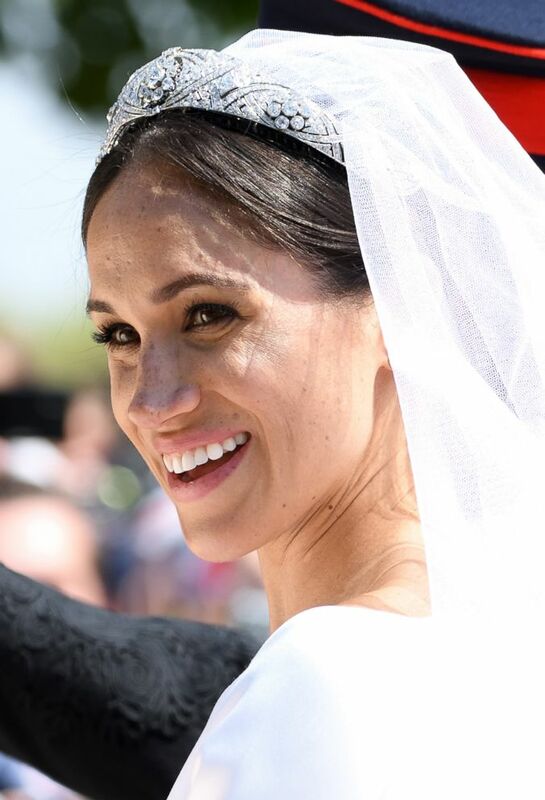 Social media users especially could not stop talking about her unmasked freckles. Martin said he used foundation and concealer on Markle, but he only "spot treated" with them. "So instead of using it all over her face, I used it only where I needed to balance out any redness or uneven skin tone," he said. "And that was when you're able to see her freckles come through." Prince Harry, Duke of Sussex and Meghan Markle, Duchess of Sussex leave Windsor Castle in the Ascot Landau carriage during the procession after getting married, Windsor Castle, May 19, 2018 in Windsor. To achieve her smoky eye, Martin said he used a chestnut eyeshadow and false lashes only on the outer edges of her lids. "They're like little wings for your eyes," he said of the falsies. To apply eyeshadow, the makeup artist said he used "just a bit" and blended it in "with my finger," in order to follow the "shape of her eye." He topped off the eye look with a chocolate brown eyeliner. Prince Harry, Duke of Sussex and Meghan, Duchess of Sussex leave Windsor Castle in the Ascot Landau carriage during a procession after getting married at St Georges Chapel on May 19, 2018 in Windsor. Martin described the look as "completely natural." "We wanted it to just be her," he said. "She's a person who is very comfortable in her own skin. So she doesn't need to wear a lot." Martin, who has known Markle for years, said that becoming a member of the British royal family and marrying Prince Harry hasn't changed her at all. "That's the crazy thing," he said. "She's still the same person." Britain's Prince Harry, Duke of Sussex, and US fiancee of Britain's Prince Harry Meghan Markle during their wedding ceremony in St George's Chapel, Windsor Castle, in Windsor, May 19, 2018. Plus, Martin shared three tips on how to achieve a glowing, natural makeup look at home. 1. Double up the bronzer on the eyes as eyeshadow. 3. Mix a bit of matte lipstick with Vaseline to create a cream blush.